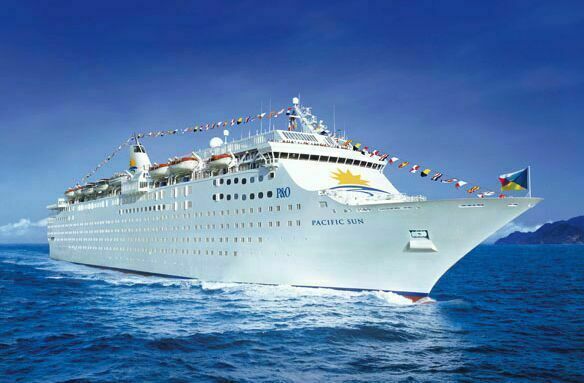 Home Videos World Never Before Seen Shocking Footage - Cruise Liner Gets Pounded With Huge Waves - 42 Seriously Injured! Never Before Seen Shocking Footage - Cruise Liner Gets Pounded With Huge Waves - 42 Seriously Injured! We all daydream about it from time to time… taking time off work for an idyllic Pacific cruise on a luxury liner... Let's just hope that we don't board the Titanic!! The following astonishing and shocking footage has just surfaced today on website, Liveleaks and was quickly replicated across YouTube - set to go viral I suspect. 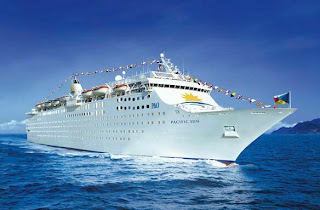 Imagine relaxing on this perfect vacation to Vanuatu, sipping cocktails, when the P&O cruise liner you are travelling on, the 'Pacific Sun', runs into a storm. Next thing you're 'rocking and rolling' along with other passengers and all of the furniture, as the ship gets pounded with huge waves which sends the entire vessel into violent chaos!! The incident occured in July, 2008, about 650 kilometres off the coast of New Zealand when the 'Pacific Sun' was returning from an eight day cruise (perhaps it was really a 3-hour tour on the 'Minnow' - for all those old enough to remember 'Gilligan's Island'). Until now, the footage has never been exposed to the public. Of the 2,403 passengers and crew on board, 42 people were injured - some quite seriously. In the first video, a woman can clearly be seen hitting her head on a post and collapsing... then she seems to get 'swallowed' by the tables and chairs along with another woman who had tried to come to her rescue. According to www.news.com.au, many of the other injuries were sustained when some pokie machines fell over... injuries included things like broken ribs and limbs, a fractured pelvis and cuts. Please note that this is the 'long version' of the video and things really heat up at around 4-minutes in. Be sure to keep watching. The next video was taken below deck, and shows heavy equipment (including a forklift), almost wiping out one of the crew members.